Step Inside "Brix II" Designer Townhomes in The Heart of Amazing Cedar Cottage Neighbourhood Near Trout Lake. 7 Years Young 3 Bedroom, 2 Full Bath, 1208 SQFT, 3-Level Gorgeous Home on Quiet, Western Exposure Side of Building. Gated Community of 40 Homes,2 Sundrenched Outdoor Decks. In-Suite(and Underground)Storage. Gas Stove in Bright Modern Kitchen, Spa-Like Baths (1 Glass Shower) Cozy Gas Fireplace in Open Plan Living Room, Granite Counters, Sleek Lines & Maple Engineered Wood Floors. 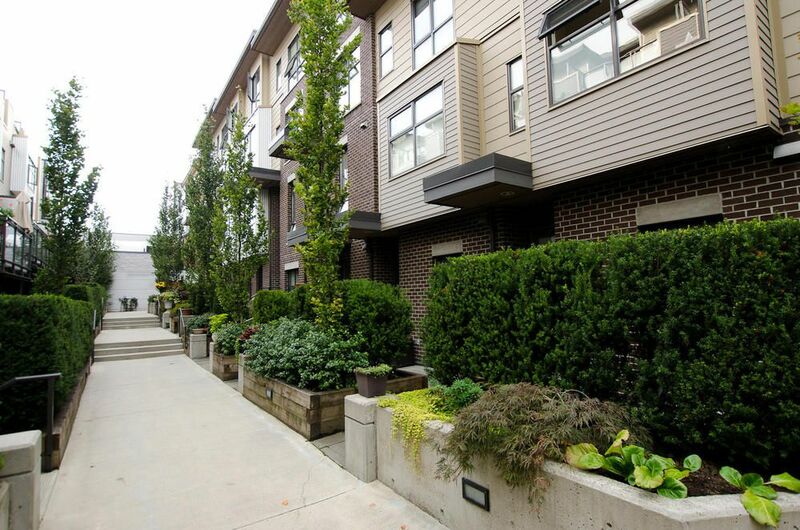 Private Entrance, Small Garden in Front, Floor-to-Ceiling Windows, 1 Secure Underground Parking. Tree-Lined Community. Pets & Rentals Allowed. Walk to Trout Lake, Commercial Drive! Welcome Home.